Does your website need some redesign? Understanding modern design trends and practices through the lens of increasing lead generation and therefore maximizing your profits is no piece of cake. There is a host of counterintuitive views appear today stating which of the current UI/UX design techniques work best in eCommerce. To begin with, you may check out the most effective web design trends 2018. Either way, there is one almost universal truth we can be dead sure about – if your business website design remains untouched for ages, you definitely have to get it redesigned asap. To prove this statement let’s have a look at the website of a popular nation-wide sports ESPN (a shorthand for Entertainment and Sports Programming Network). After the website was renewed regarding customer feedback and some other insights, their revenues skyrocketed up to 35%! That said, let’s think it over. Basically, user interface and user experience design practices are oftentimes quite overlapping, so they can be both utilized to improve a fintech or a banking-themed website. 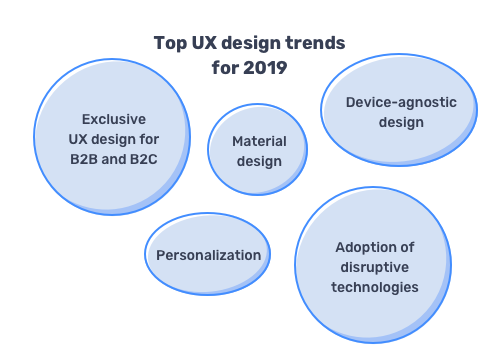 This time around, however, we will focus mainly on upcoming UX design trends to see what should be redesigned first in 2019. Creating apps or eCommerce websites to be equally displayed across various devices like smartphones, laptops, desktop and tablet computers is becoming an upcoming mainstay in UX design. There is no more mobile-friendly approach with mobile responsiveness to be in the first place. Instead, the device-agnostic design trend comes into play, meaning that all your UX design solutions must be as efficient as possible, no matter what type of device your customers opt for. If you keep track of ever-changing UI/UX design trends that have been in fashion over the past decade, you might notice that flat and material design types are always on the top list. They just take each and every year when it comes to taking the lead in design. Which is why seeing material design get the upper hand one more time next year is quite expected. 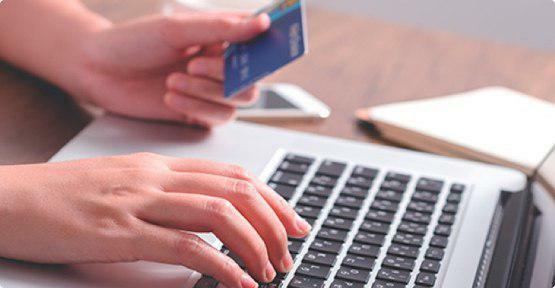 What does it mean for your eCommerce store? In a nutshell, 2019 will tolerate no flat design patterns and practices like minimalistic UI elements, 2D animations, simplified layouts and bright plain colors with sharp edges. It’s high time for 3D shapes, gradients, and responsive layout grids empowered with flexible containers and aspect ratios, padding and keylines. Defining your target audience takes much time and effort at times. It may greatly vary depending on the industry you are in, the type of goods and services you are about to offer, the geolocation of your potential customers, and lots of other important factors to be aware of. To say nothing of a huge difference gap between users in the B2C and B2B sectors. So the rationale behind applying various UX design patterns for reaching different target audiences is quite evident. Of course, it may involve reconsidering your marketing strategy and reshaping the mindsets of all the stakeholders, including UI/UX designers. But it is definitely worth the cost. With this in mind, try your hand at creating at least separate landing pages for B2B and B2C customers in 2019. For the sole B2B tactics you may need some deeper insights from the best B2B web design examples. 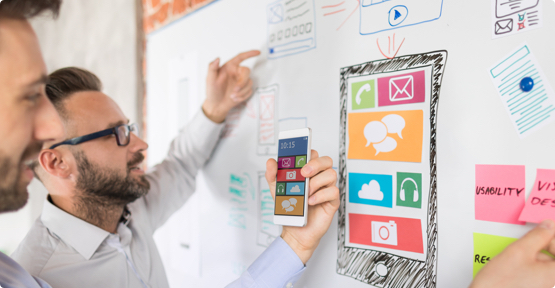 As I mentioned before, many trends in UI/UX design aren’t absolutely new to the public, however, their efficiency for attracting prospective customers may significantly vary from year to year. 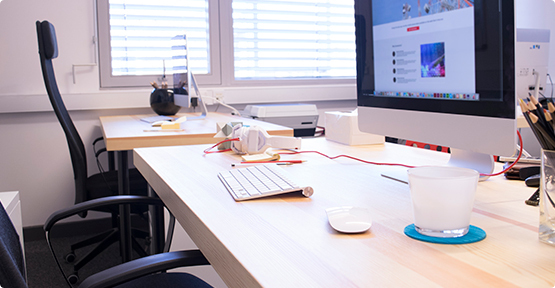 The same goes for personalization, which is well-known for most seasoned designers. In 2019, however, it is likely to gain even more traction among end-users as their needs are evolving by leaps and bounds. Evidently, they start looking for more convenient and intuitive design solutions while opting for an eCommerce website to deal with. It’s an open secret that the shift to Virtual Reality and Artificial Intelligence is almost everywhere nowadays, and UX design being no exception. As of now, online businesses have witnessed both ups and downs of implementing Machine & Deep Learning, Neural Networks, Natural Language Processing and other AI-fueled techniques to skyrocket the revenues and improve customer experience. 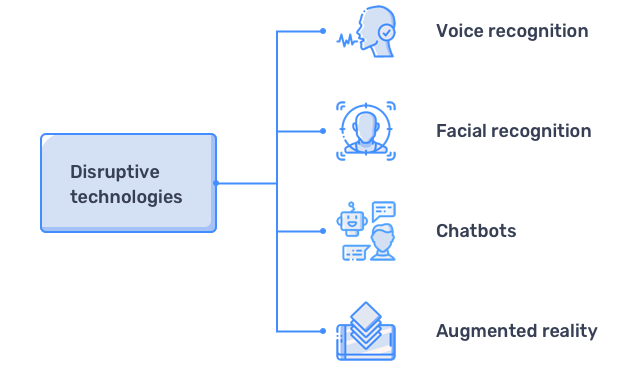 Voice recognition, a revolutionary technology enabling users to give spoken commands to an app or any browser software, which are easier to understand and much quicker to carry out. Facial recognition, a type of biometric authentication allowing users to utilize such great UX design features like face unlock, touch ID, etc. and can be applied across mobile and desktop devices. Chatbots are becoming much smarter than ever in recent memory. With an AI-driven chatbot under the belt, which is capable to interact with app users or website visitors in a meaningful way, your eCommerce project will enjoy higher conversion rates and thus, get huge profit boost. Augmented Reality, an innovative technology approach that gives online business owners a competitive edge, as it can provide their clients with a highly customized user experience. Leveraging AR in eCommerce is by far the most up-and-coming UX design trend to follow in 2019. Feel free to contact us and stay tuned to our blog to always keep in the loop on the hottest UI/UX design trends and insights. Implementing wireframes and mockups on early stages of the design process have gained much popularity in recent years. It does prove its efficiency since wireframing allows you to test every single idea beforehand. If you really take care of your project, you know that the user-centered design is an essential part of its success. Nowadays the design market is overcrowded with semi-qualified companies, who can’t guarantee the rich rewards, asking for the high fee. Let’s try to highlight the most important points you need to pay attention to, looking for the appropriate ux design agency.